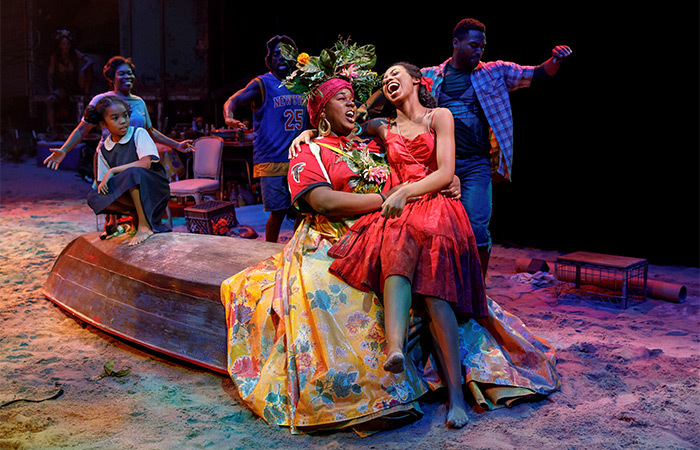 Once On This Island on Broadway tickets can easily be purchased online. I recommend buying your theatre tickets before you go to New York to save time and also money. The revival of this 90’s musical is playing at the Circle in the Square Theatre. Telling the tropical tale of a farmer girl, Ti Moune who falls in love with a rich young man from the other side of the island. The Caribbean island on which Ti Moune lives becomes caught up in a storm that causes Daniel, who comes from the rich side of the island, to have a car accident. Ti Moune takes Daniel in and takes care of him. She falls in love with him, but their different family backgrounds make their love impossible. The four gods, Mother Earth – Asaka, God of the Water – Agwé, Goddess of Love – Erzulie and the Demon of Death – Papa Ge decide to help Ti Moune. This musical is performed in the round, so as soon as you enter the Circle in the Square Theatre, your attention is drawn to the oval stage encircled by the audience. The stage is covered with sand and water, and decorated with an upturned boat and a fire pit where the islanders are busily walking around. There is even a diaper-wearing (real) goat … You immediately forget that you are in New York City as the show transports you to the tropical island. 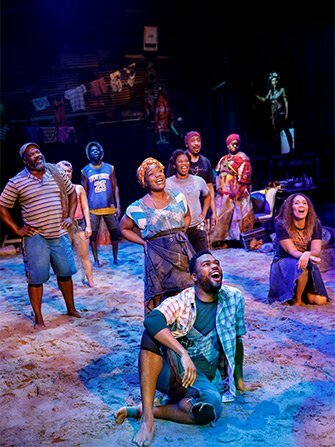 How to buy Once On This Island Tickets? 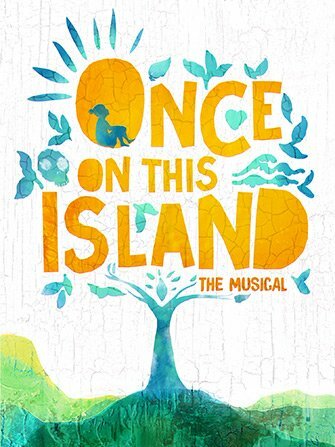 It is easy to buy tickets for Once On This Island with the link below. I recommend buying tickets online before your trip to New York. Why? A lot of shows are very popular and are often sold out. You’ll also save time and money and most importantly you don’t have to stress about finding tickets when you are in New York. Minimum age: Might not be suitable for children under 10 years of age. Children under the age of 4 are not permitted in the theatre.